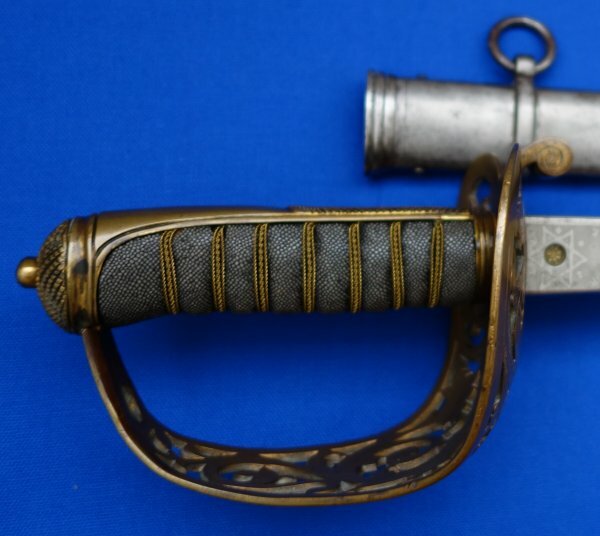 Rare, well made and in very good condition; a superb 1857 Pattern Royal Engineer's sword etched to the Submarine Miners and bearing the original owner's initials. Etched to retailer Forster & Son (AKA Foster & Son) of York Street, St James's, London, this sword bears the initials of the original officer owner "T G R M"; budding researchers may well therefore be able to determine the original owner's full name given the small number of officers within the Royal Engineer's Submarine Mining section. 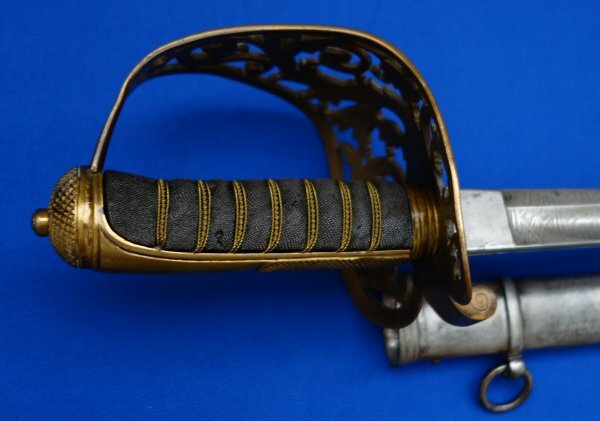 The 32 5/8 inch blade, etched to the Submarine Miners with thunderbolt and lightening emblem is in very good condition with only minimal wear and patina spots, and is form in the hilt. 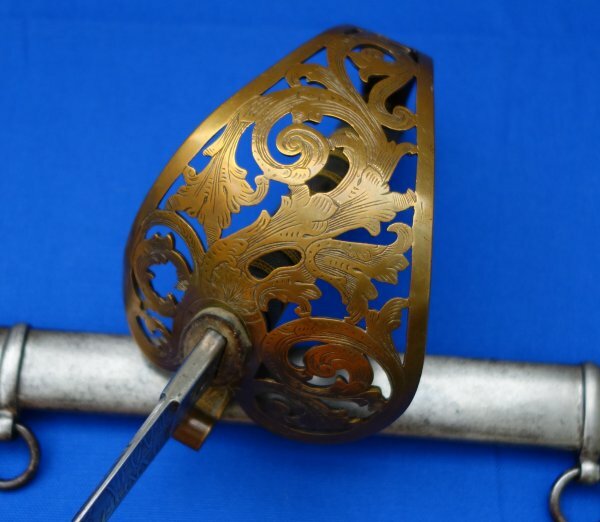 The brass hilt has some slight misforming, but only very slight and to be expected from brass. The fishskin grip is in overall good order, the associated twisted grip wire bindings a little astray here and there, but only a little. 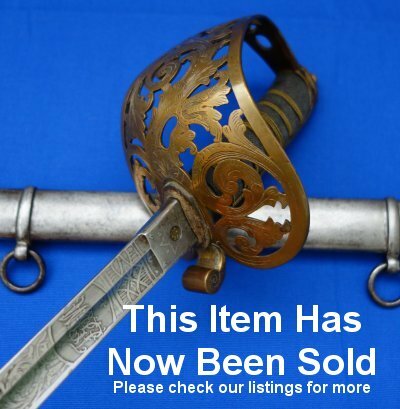 The steel field service scabbard is in good order, some patina, some signs of wear. The sword sheathes and draws well if a little loosely until fully sheathed. Overall, a well above average example. Just trying finding another in any condition, let alone as in such good order as this one. Truly under priced at £(sale price information available for a small fee). Please quote item reference J58 (1145). Further / full sized pictures available upon request.